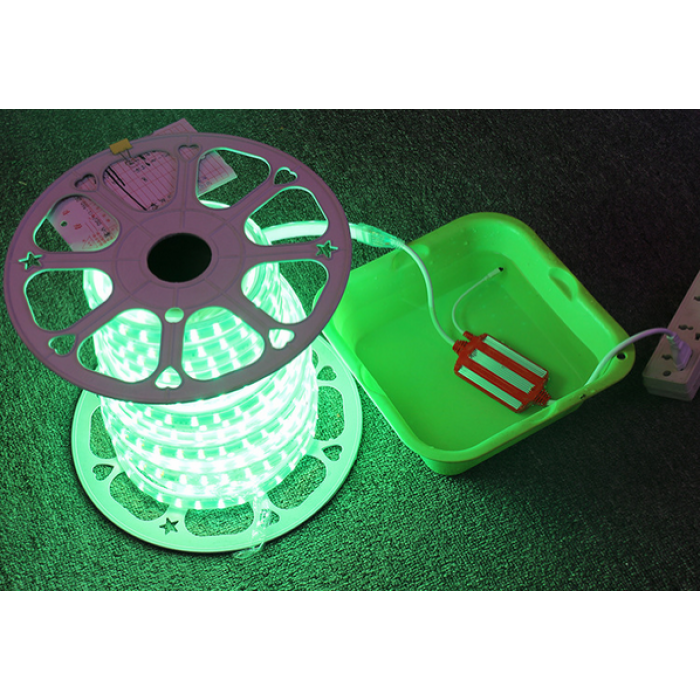 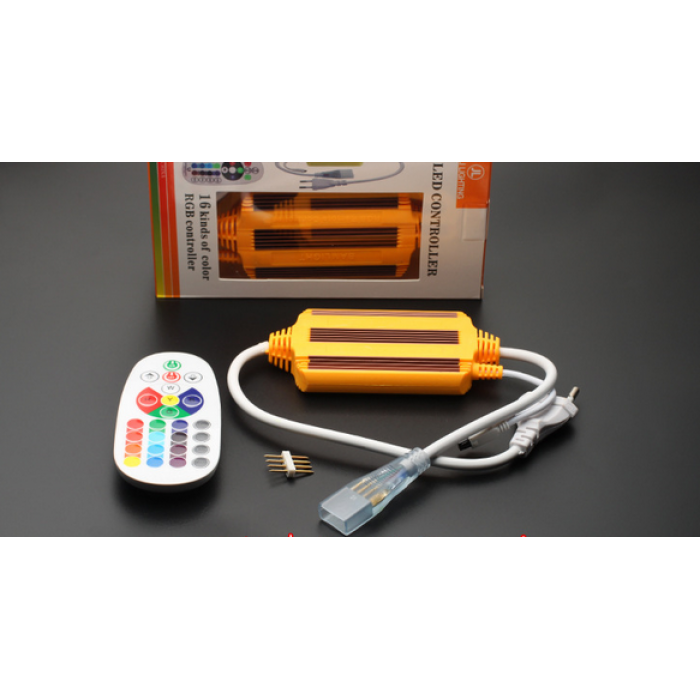 The control is for 220V multicolored tape and it is with moisture protection. With control it is possible to remotely control the tape and switch up to 16 different color tones + can adjust the brightness. 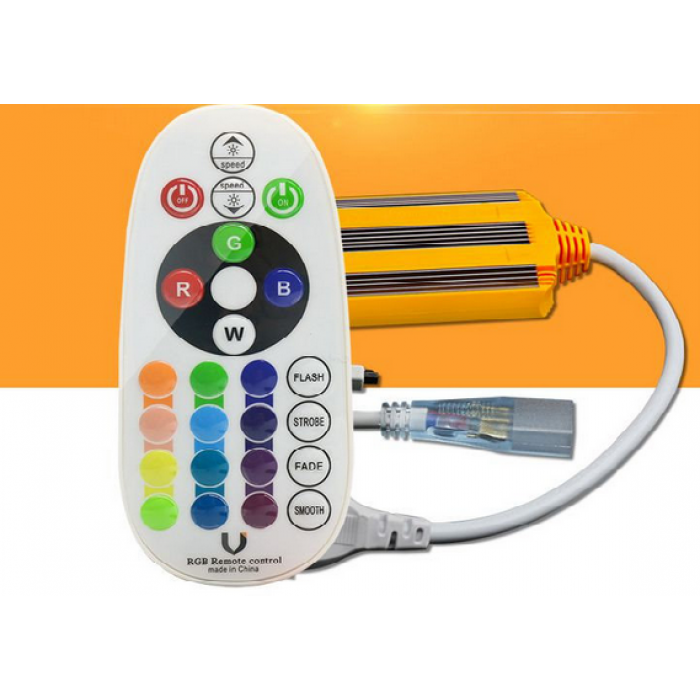 Maximum connecting power is 1500W.